Our choir is approximately 65 strong and welcomes new members of both sexes of every age. Musical Beginners will be very welcome. We give 2 major concerts each year, plus a lighter concert in the Summer and a Carol Concert at Christmas. Other activities include social events like dinners and quizzes. 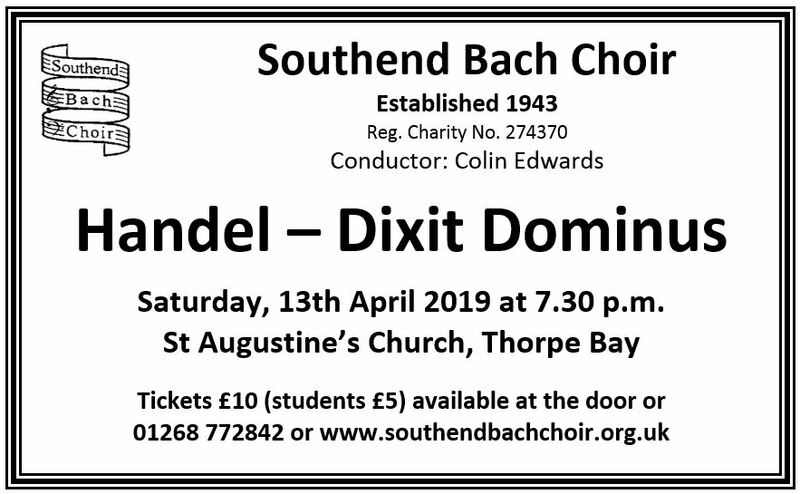 We also try to take our music to other parts of the county and in recent years have sung in Bocking, Grays, Canvey Island, Purleigh and Chelmsford. In 2003 we travelled to Germany to sing with the Cologne Bach Choir. This website uses Google reCAPTCHA to ensure our “Contact Us” page is more secure. This feature requires cookies to work correctly. Keeping this cookie enabled helps us maintain the security of our website.